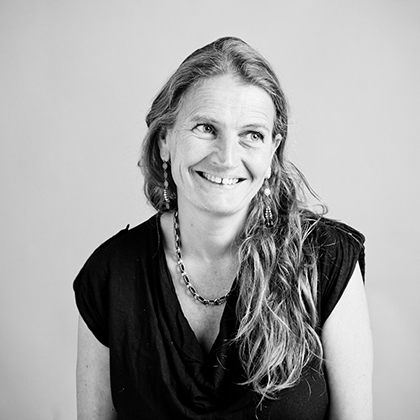 Polly Nash is Joint Course Leader for BA (Hons) Film Practice at London College of Communication. Polly has been working in film and television since 1988 when she started working with Steel Bank Film Co-op in Sheffield on a Channel 4 feature film, Crimestrike. While studying at the Royal College of Art, her Fuji Student Film Competition prize-winning film The Debutante went on to screen at festivals and sell internationally. After graduating in 1994 she combined work as a Production Manager and an Assistant Director on television documentaries, drama and feature films. She has worked on strands such as Dispatches, Critical Eye, Cutting Edge and BBC Sound on Film among many others. As an independent producer she has produced films with artists such as Steve McQueen (STAGE), Rachel Davies (GOLD), and Jocelyn Cammack (The Bone Orchestra). Polly has also produced many dramas, securing funding from a variety of sources such as the Arts Council, Yorkshire and Humberside Arts and The National Lottery. In 1997 she started working as a producer with documentary company Spectacle from where she produced Outside the Law: Stories from Guantánamo, (75 minutes, Spectacle Productions) – a feature documentary co-directed with journalist Andy Worthington. The film has screened internationally in festivals including DC Independent Film Festival in Washington, Oslo's Human Rights Human Wrongs festival, London International Documentary Film Festival, Bradford International Film Festival. It also toured independent cinemas and venues in the UK, US, Poland, and had two international television broadcasts. View the BA (Hons) Film Practice course page.